From hole-in-the-wall restaurants to fine-dining fare, the city's food scene is having a well-deserved moment. Cable cars in San Francisco. PA Photo/San Francisco Travel Association. The farmers market at the Ferry Building San Francisco. PA Photo/San Francisco Travel Association photo by Scott Chernis. Tonkotsu ramen in Japantown, San Francisco. 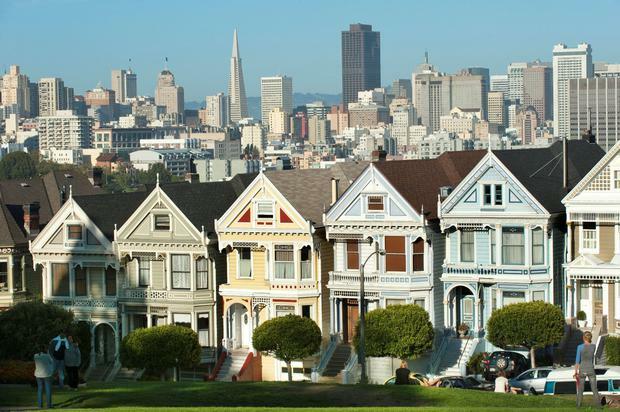 See PA Feature TRAVEL San Francisco. PA Photo/Liz Connor. The Painted Ladies in San Francisco. PA Photo/Andreas Hub courtesy of San Francisco Travel Association. 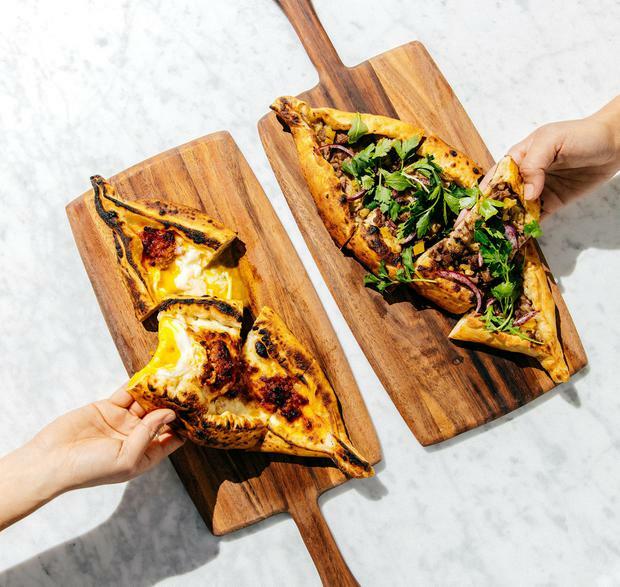 Sharing flat breads at Noosh in San Franisco. PA Photo/Noosh. Dungeness crab with marble potatoes, rye and chevril at Lord Stanley restaurant in San Francisco. PA Photo/Liz Connor. 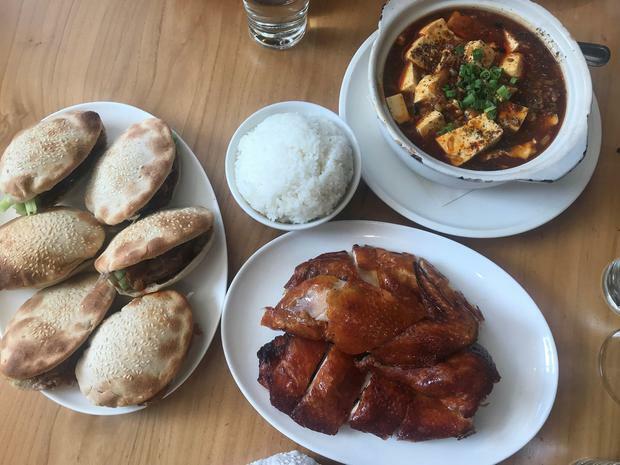 Peking duck buns, crispy chicken and mopo tofu in China Live, Chinatown, San Francisco. PA Photo/Liz Connor. The fortune cookie factory in Chinatown, San Francisco. PA Photo/Liz Connor. These days, San Francisco is just as famous for its food as it is for its beatnik poets, suspension bridges and cable cars. It's a place where buzzy restaurant openings abound, where food trends are born (we have these guys to thank for the recent sourdough revival), and where locals will queue around the block for a Mission District burrito. A recent nod of approval from the Michelin Guide has nudged the city ahead of New York and LA in the food stakes, with the ratings guide hailing San Francisco as the fine-dining capital of the US. Eight of its restaurants have earned three Michelin stars, more than any other region in the country, and locals are spoiled with a whopping 80 stars in this year's hallowed list. 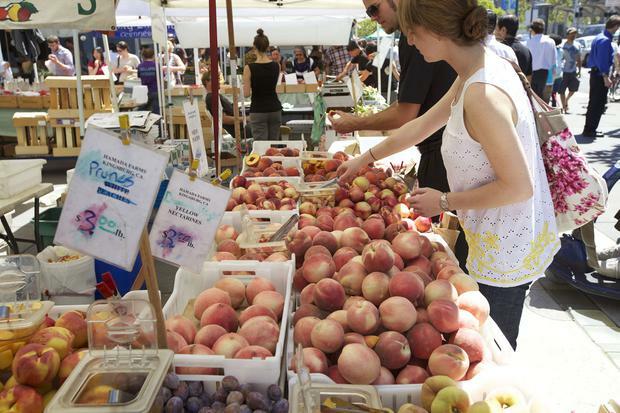 San Franciscans take their food seriously, but the key is knowing where to go. Beyond the tourist traps selling Dungeness crab and Bay shrimp, you can find some of the most exciting dishes you'll ever eat. Here's a culinary map of the neighbourhoods you should tick off on your next visit. In the 1990s, The Slanted Door (an award-winning Vietnamese outfit) put this district onto the map. Now the area has more restaurants per square mile than any other in the city, and while the original Latin American community still has a foothold, tech workers have brought rapid gentrification. The streets are super eclectic as a result; bric-a-brac bodegas and hole-in-the-wall cheap eats are propped up against boujee restaurants and hipster cocktail bars covered in street art. You'll probably hear people talk about Tartine Bakery (tartinebakery.com) - a lot. It's something of a San Francisco institution. Locals will wait in epic queues outside the Guerrero Street outpost to get their hands on a legendary morning bun; flakey, buttery, baked dough from the gods that's spiked with cinnamon, dusted in sugar and should come with an addiction warning. No visit to Mission is complete without sampling its famous burrito, invented in the 1960s at either El Faro or La Cumbre (depending on who you ask). Taqueria (taqueriasanfrancisco.com) is probably the most popular ($9.50 per burrito), but there are some hot contenders following closely on its heels, like Taqueria Cancun (2288 Mission St) and Papalote Mexican Grill (papalote-sf.com). If you can handle eating elbow-to-elbow with your fellow diners, try local favourite Yamo (3406 18th St). This cash-only, Burmese hole-in-the-wall is where you'll find simple but moreish salads, spring rolls and samosas (appetisers cost a wallet-friendly $4.50 and mains $6.50). Tacolicious at 741 Valencia Street, meanwhile, makes the most incredible Baja-style fish tacos (four for $20). They're fried in a light and crispy beer batter, doused in Mexican crema and come with a fiery, salt-rimmed margarita to wash it all down with. If your budget is more accommodating, try Commonwealth, the newly-starred establishment in the Michelin guide that's well worth the hype. You can eat a la carte at the Asian-inspired restaurant, but the seven-course tasting menu ($95, or $160 with wine pairings) really demonstrates just how inventive San Franciscans can be. Plates are beautifully designed and made with locally-sourced Californian produce, and a proportion of the cost of each tasting menu is donated to a local charity. The American Wagyu poached in smoked beef fat with turnip cream is seriously good. These shouldering neighbourhoods are where tech billionaires take up residence in their Painted Ladies (the slang name for San Fran's colourful Edwardian houses, above). As a result, Pacific Heights and Nob Hill have some of the best restaurants in their area codes. Noosh (nooshsf.com) is a vibey new spot that's just opened at 2001 Fillmore Street and already has chatty queues trailing out of the door every night. The modern Mediterranean kitchen serves up comforting dishes like Turkish kebabs ($7), Instagrammable pork flatbreads (have fun forking at the whole egg yolk; $15) and, in my opinion, the creamiest baba ganoush ($6) you'll ever eat. The well-heeled Pacific Heights crowd is also lucky enough to have Lord Stanley (lordstanleysf.com) in its arsenal. We opt for the five-course tasting menu ( $105, or $180 with wine pairings) at the restaurant, which owners Carrie and Rupert named after their favourite British pub. Here, the Californian-European small plates are as pretty as they are tasty; earthy hen of the woods mushroom tossed in creamy, aged Gouda and pistachio, and - my personal favourite - delicate morsels of Dungeness crab, topped with salty and finely-sliced marble potato. If you can squeeze in a night cap, it's a short walk to Eno (enowinerooms.com) in Union Square to nose at some of California's best bottles, alongside cheese and artisan chocolate. Bliss. A seriously overlooked foodie hotspot in San Francisco, the Nihonmachi area is one of only three remaining Japantowns in the US. This tiny enclave, which has existed since the early 1900s, is now just six square blocks in size, but there are plenty of culinary treasures to check out in the area. I recommend booking an three-hour food tour with Edible Excursions (edibleexcursions.net). It costs $110 per person plus $2 booking fee, and includes everything you eat on the way. We made six food stops in total, so come hungry. Highlights from the tour include sampling the famous sweet potato latte from YakiniQ Cafe (1640 Post St), a caffeine-free hot drink made from the orange tuber. It's sweet, it's strange, but it's kind of delicious. If you're skipping the tour, Ramen Yamadaya (ramen-yamadaya.com/san-francisco) should still be on your radar. 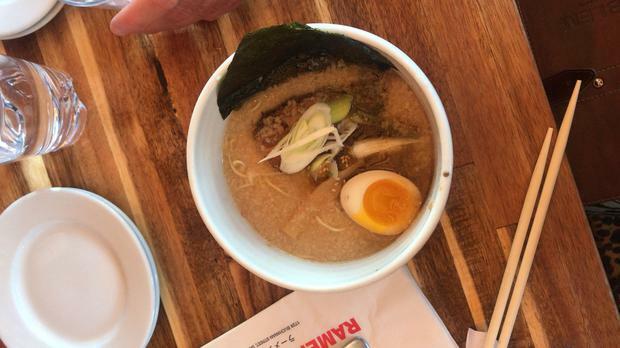 Here, they ladle out steaming bowls of hearty Tonkotsu ramen, made with the richest bone broth you'll ever slurp at. Another Japanese favourite on our hit list is okonomiyaki (Japanese frittata) from a small food cafe in Japantown's shopping mall. Once you can get your head around the fact the bonito flake topping appears to be moving (the hot steam makes the flakes rise and fall), it's actually very tasty indeed. It's made by frying cabbage with bacon, flour and egg, and it's topped with a lattice of mayonnaise, and a thick Worcestershire-style sauce. One of Japantown's first businesses, Benkyodo Confections (benkyodocompany.com) is still the beating heart of community, where you'll see old friends catching up over something sweet. Here, they're famed for their sweet and savory mochi, and their handmade fried doughnut balls are like tiny pieces of heaven. 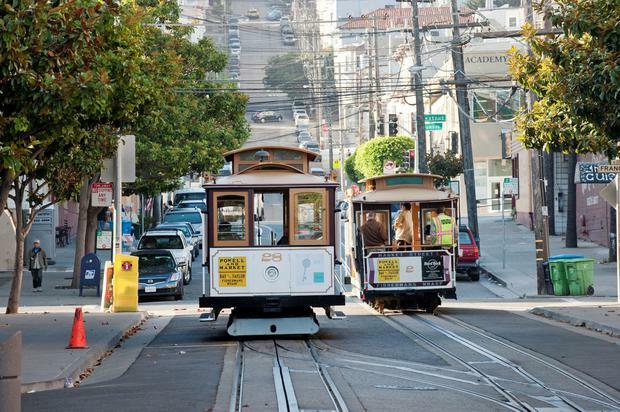 This lively neighbourhood is one of San Francisco's most visited, and for good reason. It's easy to spend a whole day here, getting lost in the maze of streets and tiny alleys. The residents here are almost all Chinese, and speak very little English, which can make it intimidating to know where to go. Food is a big part of Chinatown's history (Chop Suey was invented here), and Stockton Street is a good place to start. The Chinatown end is as big a culture shock as you can get; a noisy, bustling, colourful and fragrant food market, piled high with fresh veg, herbs and spices. A word of warning: The animal markets can take a strong stomach - expect to see still-moving fish on the chopping blocks and exotic delicacies like armadillo and tortoise. It feels a world away from the corporate Financial District, which is just a few blocks away. Make sure you stop at the Golden Gate Fortune Cookie Factory in Ross Alley too, which was once notorious for its gambling dens in the late 19th century. 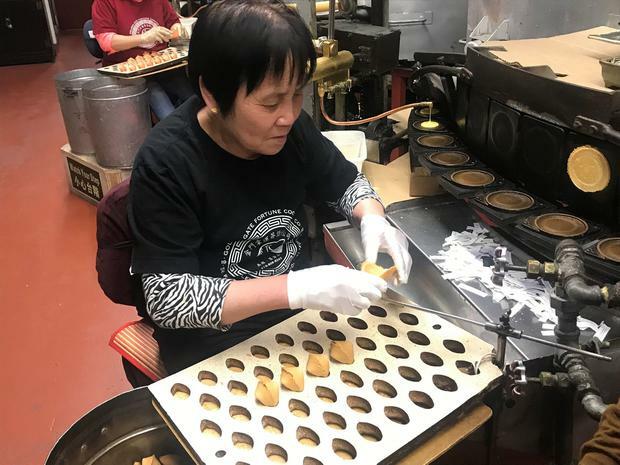 The tiny factory has been making thousands of authentic fortune cookies every day for years, filling and folding the assembly line by hand. China Live (chinalivesf.com) is a modern Chinese marketplace that serves up a little bit of everything; dim sum, blistered greens, comforting mapo tofu and the most incredible barbecued pork belly. It's all great for sharing, although if you're you're like me, you'll struggle to find the generosity to go halves on anything in this city. Aer Lingus (aerlingus.com) flies direct from Dublin, while Virgin Atlantic (virginatlantic.com) flies twice daily from London Heathrow direct to San Francisco. Rooms at Hotel Emblem (viceroyhotelsandresorts.com/en/emblem) in Nob Hill are available from $127 per night (room only). Visit sftravel.com for more information.